This simple tablescape is so sweet. What a great way to let the food shine. 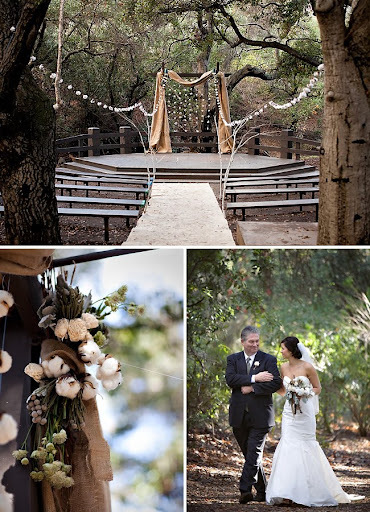 This wedding is an oldie but a goodie, I like the way they did their own thing with the raw cotton. I’m also obsessed with their ceremony setup. love the ceremony site.. and i love all the votive candles just thrown on the table. 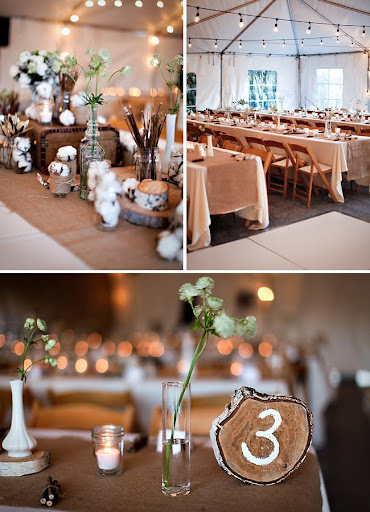 Great table setting, i’m loving the raw cotton too.